Isn’t this what coffee is about, the ritual, the flavour, the aroma and your own personal taste? Bialetti stove top coffee machines - the legend lives on! coffee-maker evolved. 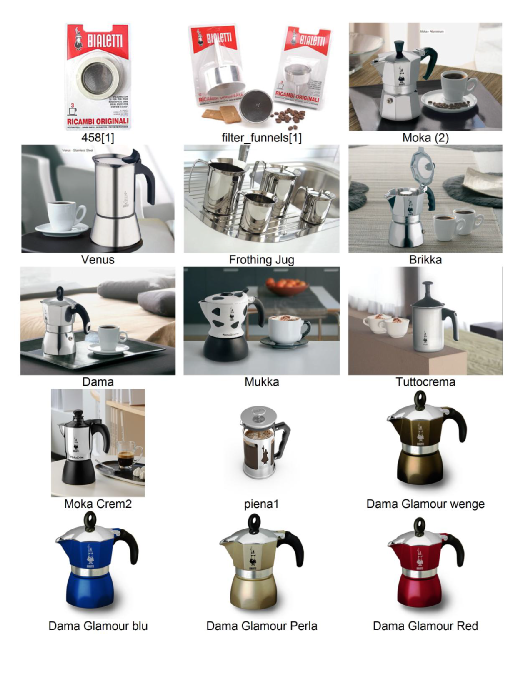 Models with new designs and different functions were introduced alongside the original type, always with the same qualities as the legendary Moka. Today this product is still a symbol of Italian culture and tradition. Bialetti’s wide range of models, available in several sizes (1 to 18 cups) satisfies all tastes. Ninety percent of Italian families own at least one Bialetti coffee-maker. Since the start of manufacture, over 270 million Bialetti coffee-makers have been distributed throughout the world, with a daily average of 26 000 products. Buy a Bialetti online right now and get a free 250g bag of our speciality espresso blend valued at R80.